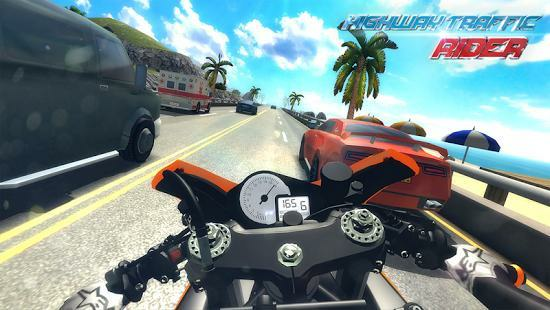 Highway Traffic Rider is the one’s great for those who love motorcycles and riders. 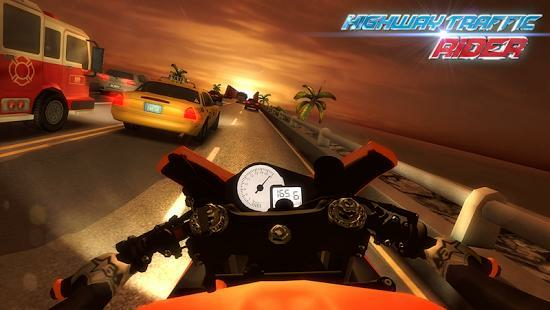 Suited for android users, this game caters to your adrenaline-rushed brains. Different modes for different users. Close to real life experience as the graphics are in 3-D.
Added feature is its close to real life weather simulation so you will feel as if the real rain oozes down to your clothes. And feel the breeze! You can share your trophies and boast of them too to your online friends! 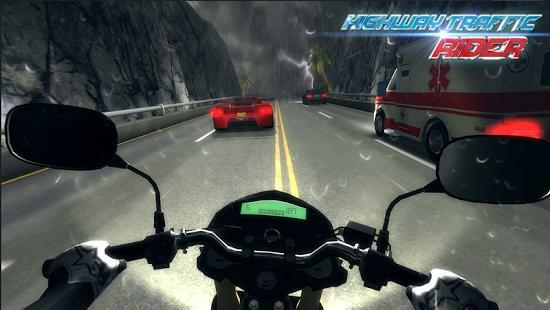 Just be careful as the higher level you get, the more cars and traffic you will encounter. Be sure to stay alive!